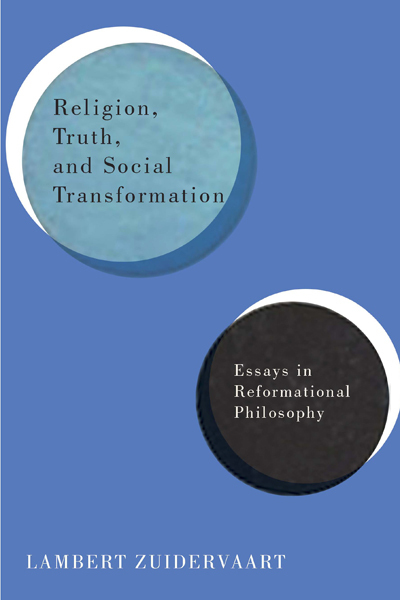 Religion, Truth, and Social Transformation begins and ends with attempts at critically retrieving crucial insights from the first generation of reformational philosophy. In this last post I respond primarily to commentaries on such attempts in the book’s Introduction, Part One, and Epilogue. Because of topical relationships, however, I also take up Peter Lok’s and Allyson Carr’s commentaries on chapter 10 and 14, respectively, having already discussed Bob Sweetman’s commentary on chapter 2 in a previous post. In response to the Introduction, Neal DeRoo asks reformational philosophers to pay greater attention to “Dooyeweerd’s unique account of the inherent temporality of the created order,” with its emphasis on the “supra-temporal heart” of human existence. If we do not, DeRoo says, we will “ignore the spiritual critique that forms the ultimate basis of Dooyeweerd’s work” and will construe his work in a “deistic direction” that makes us, not Christ, the redeemer(s) of creation. I am not sure whether DeRoo sees such debilitating tendencies in my own work, but I do want to take up the provocative challenge he has posed. Let me be blunt: I regard Dooyeweerd’s notion of supra-temporality as a non-starter. Although I agree that his account of creation’s temporality, with its two distinct directions (i.e., expressive and concentric), merits close attention, especially at the intersection of normativity and eschatology, his notion of a supra-temporal heart is not internally coherent. Nor is it required in order to do the work DeRoo thinks it does. Although I retain an emphasis on the “heartedness” of human existence, which Dooyeweerd and Vollenhoven share, I see no need to construe this in terms of supra-temporality, nor do I see any advantage in so construing it. Human beings are creatures through and through, and creatures are temporal through and through. Why, then, would we want to say about human creatures that, at their very core, they are supra-temporal? Perhaps DeRoo’s central claim in response would be that the idea of supra-temporality enables Dooyeweerd “to maintain a constant, direct engagement between the eternal and the temporal (and so avoid deism).” But is this the only way to avoid deism? And why would one want to maintain such an eternal/temporal engagement, which presupposes that “eternality” best captures that which is not creaturely? Why not, for example, simply talk about the continual and direct engagement (i.e., covenant) between God and creation and the ever emerging dialogue between God and humankind? DeRoo worries that, if one gives up the notion of supra-temporality, then one will no longer see structural problems in society as “first and foremost problems of spiritual expression,” to be fixed by “a spiritual and not merely a social transformation.” This formulation, however, poses a false dilemma: either structural or spiritual. Of course structural problems are not merely structural. They are directional too. Yet that does not mean that they are primarily spiritual problems. The peculiarity of spirituality is that it cannot be juxtaposed in this way to some domain or institution or structure in society. In fact, one could say that all problems in society, whether structural or not, are spiritual problems, but that would not get us very far in understanding and addressing them. DeRoo, however, has something more specific in mind. To diagnose social problems properly, he says, we must discern “the spiritual forces” that “particular communities” express, for it is the “attunement between a particular community and the spirit of God” that determines truth. Here my deepest reservations about Dooyeweerd’s supra-temporality set in. For his notion of supra-temporality comes paired with an emphasis on the spiritual antithesis (the conflict between ground motives and between “religious”—i.e., spiritual—communities). This emphasis tends both to reduce the scope of divine revelation and to place certain communities among the sheep—and the rest among the goats. So, while I agree with DeRoo that the struggle with societal evil is a spiritual struggle—see the book’s Epilogue—and while I agree that reformational philosophers must strive to discern the spiritual forces at work in society and culture, I resist the Dooyeweerdian move to link such forces directly with “particular communities.” That move surrenders too easily to the temptation among faith-oriented thinkers “to place their own account of spiritual struggle on the right side of this battle” (321). I hope these comments suffice to indicate why I regard Dooyeweerd’s notion of supra-temporality as a nonstarter. I have not shown how this notion is internally incoherent, although Michael DeMoor’s responses to DeRoo’s post call attention to some of the incoherence. In any case, it is not so much the notion’s internal incoherence as its problematic implications that lead me, while retaining the emphasis on heartedness, to jettison the notion of supratemporality. I do not believe this puts me on a slippery slope to deism. Some of these issues return, albeit indirectly, in the exchanges that respond to Peter Lok’s commentary on “Defining Humankind” (chapter 10). Lok claims that reformational anthropology, as articulated by Hendrik Hart and briefly sketched in this chapter, “overcomes some of the theoretical problems brought on by contemporary posthumanism.” Two problems in particular draw Lok’s attention. One is a failure to see qualitative differences in the bodily functions that humans and animals share. The other is a failure to account for the distinctive humanness of being human. A reformational approach along Hartian lines can address these two problems, he says, by emphasizing the reciprocity between animals and human beings in various functional dimensions while insisting that, in their heartedness, human beings are uniquely responsive and responsible creatures. Lok’s commentary has prompted an extensive exchange, from which I’d like to single out two issues. One, raised by Dean Dettloff, is whether reformational ontology, which underlies reformational anthropology, is latently anthropocentric. The other, raised by Peter Lok, is what a reformational concept of transcendence should look like. Both issues are linked to Dooyeweerd’s notion of a supra-temporal heart, and they remain important issues for reformational philosophers who retain the heartedness of human existence but jettison its supra-temporality. Without going into the details of Dettloff and Lok’s debate about posthumanism, let me make a few comments on these issues. First, if by anthropocentrism one means a philosophical position that puts human existence (or, more narrowly, human perception) at the center of the universe, such that all other creatures are both inferior and subservient to human beings, then in principle reformational philosophy need not be—indeed, should not be—anthropocentric. From the very beginning the reformational tradition has emphasized the cosmic scope of divine creation, redemption, and fulfillment, as well as the brokenness of all creation. It has struggled to do justice to this “biblical ground motive” (Dooyeweerd) in its ontology, epistemology, and social philosophy. Having said that, however, I consider some formulations of reformational philosophy less successful than others in this regard. For example, by suggesting that cosmic time refracts through the human supra-temporal heart, Dooyeweerd does tend toward a type of anthropocentrism, it seems to me. That’s another reason why I believe we should abandon his notion of supra-temporality. The theory of a modal scale does not need to be conceived in a hierarchical fashion, however. In fact, the genius of reformational modal theory is to break with all the hierarchical orderings of functional dimensions that one finds in the history of Western philosophy, right through the humanist philosophical anthropologies of Max Scheler and Ernst Cassirer. Further, whether the dimension of worship and faith (the so-called “pistic” mode) lies at one end of the modal scale, whether “higher” or “later” or simply “terminal,” is a matter for functional analysis and debate. To complicate matters even more, if one has an evolutionary and historical understanding of how functional capacities emerge, this question is also a matter for empirical study (e.g., in evolutionary biology, cultural anthropology, and religious studies). When one gets around to characterizing the distinctiveness of multidimensional human existence, however, and accounting for its “place in the cosmos,” to use Scheler’s phrase, reformational philosophy can easily slip into a form of anthropocentrism. Precisely for this reason, along with reservations I have about certain divinity beliefs, I would urge caution around the concept of transcendence. If by “transcendence” one means that human beings, in their uniqueness, are inextricably caught up in “multiple relations that carry us beyond merely human existence” (216), as I put it in chapter 10, then I would not object. Or if one means that human existence “is always already oriented with respect to its origin and destiny” (217), again, I would have no problem. Historically, however, the notion of transcendence often has implied an ability to go beyond our humanness, our temporality, our creatureliness, our earthliness. That implication strikes me as not only intrinsically problematic but also dangerously anthropocentric. My own recommendation, then, is to give up the vocabulary of transcendence, along with the notion of supra-temporality. If, by contrast, one hangs on to Dooyeweerd’s supra-temporality and older notions of transcendence, the problems in Dooyeweerd’s transcendental critique that I identify in “The Great Turning Point” (chapter 1) will become nearly unavoidable. For pressure will mount to make theoretical claims about what one declares supra-theoretical (because it is “transcendent” and “supra-temporal”), and conflict will arise between regarding spirituality (i.e., religion, in Dooyeweerd’s terms) as a temporal phenomenon (and historical, cultural, and social), on the one hand, and maintaining it as a supra-temporal noumenon, on the other. Yet this approach, reminiscent of Hegel’s dialectical Aufhebung of Kant’s antinomies, does not tell us much about the peculiar structure and dynamics of theoretical thought. Unless one takes up this topic, one does not really address the issues that give rise to Dooyeweerd’s self-referential incoherence. Chapter 1 does not do this. That’s why it does not claim to have offered adequate repairs to Dooyeweerd’s transcendental critique. Although I begin to clear a site for this in chapters 3, 4, 14, and 15, adequate repairs will require additional work on a comprehensive conception of truth—my current research project. One of my objections to Dooyeweerd’s notion of supra-temporality is that it comes paired with an emphasis on the spiritual antithesis. Joshua Harris, in his response to “Dooyeweerd’s Conception of Truth” (chapter 3), rightly calls attention to my discomfort with this emphasis: it wreaks havoc on Dooyeweerd’s general conception of truth, undermines his account of theoretical truth, and does not do justice to either spirituality (what Dooyeweerd calls religion) or religion (what Dooyeweerd calls faith). But Harris wants to push me a bit farther. He asks, in effect, whether my criticisms of Dooyeweerd’s idea of religious truth imply an embrace of theological universalism—which, of course, would be incompatible with Dooyeweerd’s theological self-understanding and with most of the Calvinist tradition from which his philosophy arises. Not being a theologian, I am unsure how to respond to Harris’s insightful provocation. On the one hand, the traditional debate about theological universalism employs such outdated and, I suspect, problematic concepts of salvation, damnation, and eternal life that it seems pointless to take a stance on this debate. On the other hand, I do see how my criticisms of Dooyeweerd reject even the glimmer of “a vicious dualism between faithful and apostate,” as Harris puts it, and in this sense they seem more compatible with theological universalism than with its opposite. I want to be careful here. God’s calling everyone, without exception, into the truth does not mean that everyone, without exception, lives in the truth. Some of us live the lie, and all of us struggle to know and do what is true, amid what I call societal evil. My objection to Dooyeweerd is not that he distinguishes spiritual truth from spiritual falsehood. Rather, my objection is that he tends to let this distinction collapse into an antithesis between spiritual communities and sometimes even between religious (i.e., confessional) communities. In my view, we are none of us—we human beings—wholly in the truth or wholly outside it. To hope for a new Earth, however, is to work and wait for a day when everyone lives wholly in the truth. To borrow from the title to a great book on this topic by my colleague Nik Ansell, it is to have hope for the annihilation of hell. God’s calling everyone, without exception, into the truth does not mean that everyone, without exception, lives in the truth. Some of us live the lie, and all of us struggle to know and do what is true, amid what I call societal evil. Another side to my criticisms of Dooyeweerd’s conception of truth concerns his problematic appeal to what he calls theoretical intuition. This issue also arises in “Dooyeweerd’s Modal Theory” (chapter 4), which examines Dooyeweerd’s ontology of science. Commenting on this chapter, Dan Rudisill raises questions about the relation between ontology and epistemology in Dooyeweerd’s modal theory. Rudisill also wonders whether an apparent “essentialism” in Dooyeweerd’s account of the structures of individuality also infects his modal theory. Concerning the first topic, I would say Dooyeweerd definitely intends his modal theory to be an ontological account, and he sees it as the basis for any adequate epistemology. Yet his preferred route for discovering and testing modal insights is via the basic concepts of the academic disciplines (what he calls special sciences). In a sense, then, Dooyeweerd’s ontological modal theory emerges from a phenomenology—not a phenomenology of the “lifeworld” (later Husserl) or “naïve experience” (Dooyeweerd), but a phenomenology of the sciences. In this respect, his approach is somewhat reminiscent of the early Husserl’s Logical Investigations (1900-1901). Moreover, Dooyeweerd’s appeal to theoretical intuition as the final court of appeal for grasping modal nuclei has more than a little resemblance to middle Husserl’s appeal to eidetic intuition (Wesensschau), which itself stems from the account of categorial intuition (kategoriale Anschauung) in the Logical Investigations. Significantly, Dooyeweerd appeals to theoretical intuition, not to, say, lifeworldly intuition. As is nicely illustrated by the 1922 quotation from Dooyeweerd that Peter Enneson provides in his comment, Dooyeweerd’s attempt to move from neo-Kantian methodology to a full-blown modal ontology lands midway between Husserlian phenomenology and Heideggerian ontology. Dooyeweerd’s emphasis on the theoretical intuition of modal nuclei need not entail essentialism. I agree with Bob Sweetman’s comment in this regard. Nevertheless, because Dooyeweerd specifies structures of individuality in terms of modally delimited qualifying and founding functions, any essentialism with respect to actual creatures and kinds of creatures would have retrospective ramifications for his modal theory. And, with respect to individuality structures and especially type laws, I agree with Klapwijk that Dooyeweerd was an essentialist, in the following sense: he reduced variable type structures to invariant laws, a topic I take up in chapter 5. If one gives up such essentialism in order to allow for emergent evolution, as Klapwijk does, then one can also begin to open the door for a more processual understanding of how functional capacities emerge. This, in turn, could encourage a more processual understanding of the how these capacities interrelate and how one should systematize their interrelations in a modal theory—a “genealogy of modes,” to use a phrase introduced in the comments. I have considerable sympathy with such a project. Certainly my dialectical “partial phenomenology” of imagination, as the historically emergent aesthetic aspect of life and society, points in this direction, as does my historical/eschatological understanding of societal principles. Perhaps such a more processual approach to modal theory is a challenge for the fourth generation of reformational philosophy to take up: to put it enigmatically, perhaps we need a greater temporalization of modal temporality. Perhaps such a more processual approach to modal theory is a challenge for the fourth generation of reformational philosophy to take up: to put it enigmatically, perhaps we need a greater temporalization of modal temporality. As Tricia Van Dyk indicates in her post on chapter 5 (“Fantastic Things”), an emphasis on the specifically social and historical temporality of art underlies my critique of Dooyeweerd’s underdeveloped philosophy of art. I applaud her insisting on lived experience as a touchstone for reformational philosophy. Yet I’m not sure the problematic “reductions” in Dooyeweerd’s philosophy of art stem from a lack of lived experience. He was, after all, a relatively cosmopolitan person and an accomplished pianist. Rather, spiritually rooted and socio-politically motivated anxieties about historicism and evolutionism, combined with a structuralist understanding of social and cultural phenomena, led him to squeeze such experience into a problematic mold. Dooyeweerd, however, was not unaware of problematic essentialist tendencies in his account of individuality structures. Perhaps that is why he insists so vigorously on the temporal character of “constant structural laws” in the 1936 essay cited in Peter Enneson’s comment. Yet such passages illustrate precisely the problems I have tried to demonstrate in his philosophy of art. First, structures become laws: “structural laws.” Second, they become invariant: “constant.” Third, they become constituents of the very horizon of cosmic time, not, however, as structures that emerge, change, and possibly disappear, but rather as structures that make possible any changes in time. In principle, then, Dooyeweerdian structures, whether modal or individual and typical, can never change. To posit their changeability would be to place them on the subject-side rather than the law-side of creation. Dooyeweerd might say, contra Plato, that they are not timeless ideas or forms, but this does not make them temporal, not to mention historical. They are the constant, unchanging order of creation, including human culture and society. Both in my accounts of social institutions such as art and religion and in my conceptions of truth and societal principles, I have tried to retrieve Dooyeweerd’s ontological insights without embracing his fixation on unchanging order. In these ways, despite our disagreements about rationality, I am highly indebted to Hendrik Hart. Carr rightly understands that, in my view, an emphasis on the spiritual antithesis has taken a drastic toll on the reformational community: it has either prompted or underwritten attempts to reject rather than embrace those who would make a creative contribution to reformational philosophy. At the same time, perhaps despite Dooyeweerd’s intentions, an emphasis on the spiritual antithesis has impeded or prevented fruitful dialogues between reformational philosophers and their closest “relatives,” such as Reformed epistemologists, not to mention schools of thought that lie farther afield from the Kuyperian tradition. Hence the argument for inclusion in chapter 14 is a double argument. Not only do I want my own work to be perceived as “fruit from the reformational ‘tree,’” as Carr puts it, but also I wish that tree to be more inclusive toward the many birds of a different feather who could, from time to time, and with a taste for one fruit or another, flock together. This wish may or may not be true to some of Dooyeweerd’s specific formulations. In fact I think there is an ongoing tension in his work between inclusion and exclusion, between a call for open-hearted dialogue and an insistence on the spiritual antithesis. Yet I hope my wish is true, as Carr says, “to the animating spirit of the reformational tradition.” That spirit, as I have tried to give it voice, grounds every spiritual struggle for the truth in the generosity, the inclusiveness, the original blessing of God’s love for all of creation. Amid my criticisms of Dooyeweerd’s notions of supra-temporality, spiritual antithesis, theoretical intuition, and invariant structures, then, I have tried to remain faithful to the reformational tradition. As Doug Blomberg points out in the two posts that bookend our symposium—one on the book’s Introduction and the other on the Epilogue—such fidelity has several sides. 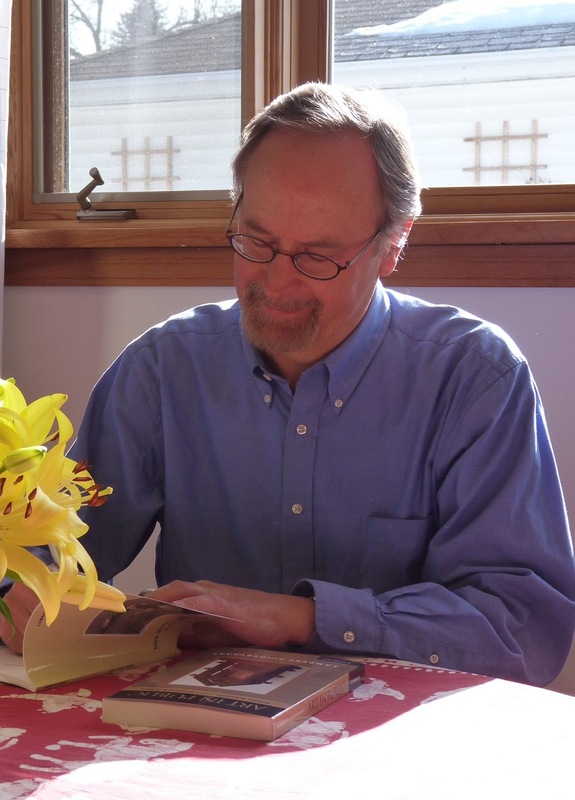 One is to try to do scholarship that is “accountable to everyday people in their everyday lives,” as Blomberg puts it. Another side is to approach one’s tradition in the spirit of “ongoing reformation—semper reformanda.” A third is to play close attention to both differences and fundamental agreements among the tradition’s founding figures and texts. Fourth, and most important, is to approach all of this in love and out of love, love not simply for one’s tradition but for the creation this tradition seeks to serve, and in response to the love with which all people are gifted and to which they are called. When my critique of Dooyeweerd and other reformational thinkers becomes pointed, this is not because I think they are hopelessly wrong. Rather, it is because I want the insights they have gained to become available once more in fresh ways, in ways that help and that heal and that hear Earth’s lament. Adorno rightly says, in a passage the Epilogue quotes, “The need to let suffering speak is a condition of all truth” (317). As a reformational philosopher, let me simply add: to help those who suffer is the point of all truth. I see no better reason than this to remain faithful, amid criticism, to the reformational tradition. As a reformational philosopher, let me simply add: to help those who suffer is the point of all truth. I see no better reason than this to remain faithful, amid criticism, to the reformational tradition. The book takes up these issues in chapters 1, 3, and 14; I’ll return to them later. Nicholas Ansell, The Annihilation of Hell: Universal Salvation and the Redemption of Time in the Eschatology of Jürgen Moltmann (Eugene, OR: Cascade Books, 2013). For a discussion of Husserl’s account of categorial intuition and its place in his conception of truth, see Lambert Zuidervaart, “Propositional and Existential Truth in Edmund Husserl’s Logical Investigations,” Symposium: Canadian Journal of Continental Philosophy 20.1 (Spring 2016): 150-80. See Lambert Zuidervaart, Artistic Truth: Aesthetics, Discourse, and Imaginative Disclosure (Cambridge: Cambridge University Press, 2004), 56-65. Herman Dooyeweerd, “Het tidjsprobleem en zijn antinomieen op het immanentiestandpunt,” Philosophia Reformata 1.2 (1936): 65-83.